Vitamin deficiency is a culprit in many of the bodies imbalances. Vitamins are so important that even the lack of a small amount over a period of time can cause many different ailments. A balanced body is the key to being healthy. I've already talked about vitamin D deficiency and the link to MS when I talked about environment. 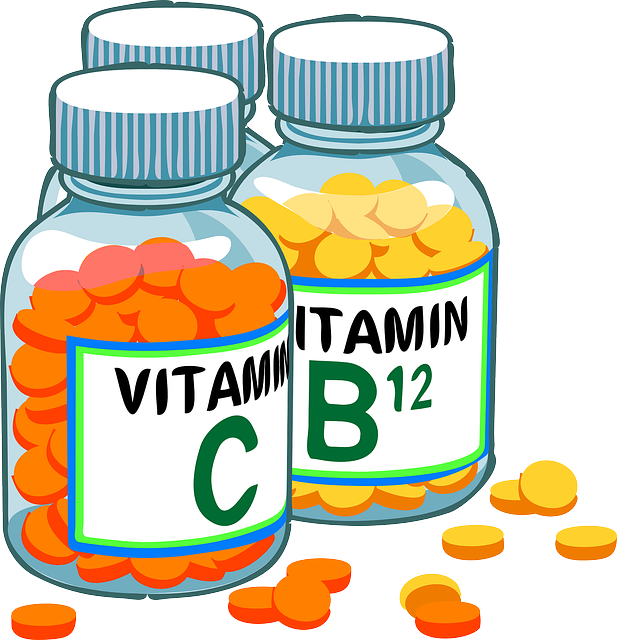 There is another vitamin linked to multiple sclerosis and that is vitamin B 12. Read this little blurb from Wikipedia before we go on. Neurological signs of B12 deficiency, which can occur without anemia, include sensory disturbances due to damage to peripheral nerves caused by demyelination and irreversible nerve cell death. Symptoms include numbness, tingling of the extremities, disturbed coordination and, if not treated in time, an ataxic gait, a syndrome known as sub-acute combined degeneration of spinal cord. A vitamin deficiency or MS? Sounds a lot like MS, doesn't it? Maybe researchers and scientists need to do more studies of vitamins and their benefits or more specifically their deficiencies. There are supplements that mimic certain disorders when the body doesn't have enough of them. Quite possibly treatments can be found that are less evasive than current traditional prescription medications which cause a host of negative side-effects. Maybe it's just a matter of the body being out of balance. Maybe it's the body saying I need more of this or that. Maybe your body simply has a severe vitamin deficiency. This is not to say that you run out and buy all the vitamins on the market or stop taking your medications. Far from it. Discuss vitamin supplements with your doctor and decide if this is something that's right for you. They can order lab tests which can determine whether you have sufficient amounts of each vitamin and mineral your body needs. Correcting a vitamin deficiency may be just the thing to help alleviate the symptoms you are having. Read here to find out how nerve pain can actually be a vitamin B12 or B6 deficiency. What other deficiencies can cause similar symptoms that mimic MS symptoms? I will definitely be checking into this a little more. Cir has always taken a vitamin B Complex from the moment he found out that he could possibly have MS. His MS has progressed very slowly over the years. He has had it for about 35 years if you count the years before his diagnosis. And 23 if you only count from his diagnosis. He is still able to walk a bit, however, not without a mobility aid. He still has good muscle strength, especially in his upper body. He is weaker on his right side, but after his last neuro appointment, the doctor notice improvement since he's been doing therapy. There are so many variables to consider, so I won't say his slow progression is entirely due to the fact that he takes vitamin supplements. He's a very determined man who doesn't give up. Oh, he may complain sometimes. But who doesn't? We also know for a fact that most MSers are deficient in vitamin D3, which may also slow the progression of MS. If you haven't already done so, check out these 2 vitamins and if you find more, let us know. And we'd love to share whatever we find in our search for deficiencies that may possibly cause MS.
To read more about vitamin D and MS, click here for part 1, and click here for part 2.